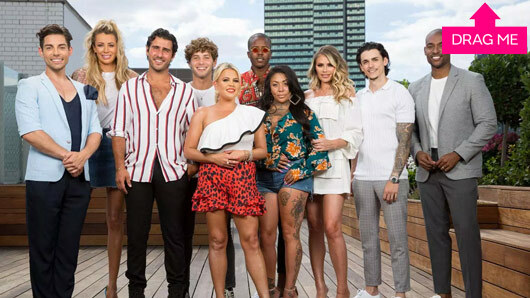 Celebs Go Dating has revealed the latest stars to join the agency, and this year we have Love Island stars, TOWIE favourites and a Sugarbabe in the mix. The popular E4 series is returning to screens this autumn with a new host of famous faces hoping to find love. On the line-up this year we have former Sugarbabe Mutya Buena, Made In Chelsea‘s Alik Alfus, Diversity member Sam Craske and Love Island stars Eyal Booker and Olivia Attwood. The Only Way Is Essex‘s Chloe Sims and Vas J Morgan also join the celebrity line-up. In the new video trailer, the stars reveal their reasons for joining the dating agency. Lady Nadia Essex and Tom Read Wilson will return to assist clients in their quest to find the perfect man or woman and this time around they will be joined by new dating guru Paul Carrick Brunson, following Eden Blackman’s departure earlier this year. Celebs Go Dating returns this autumn on E4.